My wife recently told me that for years she never ate syrup on her pancakes. Her only reason was because her dad didn’t. She figured that if her dad didn’t eat, it must not be good. But how wrong she was! Today she enjoys syrup and a number of other foods she never dared to try. Last night I was reminded of this principle in our youth service. I decided to try something new to us, though I’m sure others have used it. During my message on love and relationships, I displayed a live twitter feed on our screen and asked our students to tweet (we also let students text my wife in case they didn’t have a Twitter account so she could tweet for them) using the hashtag #whatslove. I wasn’t sure if it would be a colossal train wreck or something amazing- thankfully, it was closer to the latter. While it presented a challenge at times when something funny would be posted, I found that students were listening, engaged, having fun and that they were remembering what I was saying. I would have never tried this a few years ago. I would have justified by saying phones shouldn’t be out in church. I would have fought it, but I would have been wrong. Many of us have such a fear of failure or the unknown that we simply stay put. The reality is that we have made comfort our god. I’ve always said that tradition is not an inherently bad thing, after all, there is usually a reason that traditions exist. What is dangerous is when traditions prevent changes that need to be made. Fear has a paralyzing effect on all of us. We become convinced that where we are at or what we are doing is safer, not better for us. That mindset stifles innovation and creativity. Let’s be honest, we often fail to change because we are just plain old stubborn. Whereas fear paralyzes us, pride cripples us. It’s not to say that everything needs to change, but there is no doubt that everything needs to be evaluated. I believe firmly that we should stand on firm principles while always evaluating the process. How we do things is not usually sacred, what we do is. It’s also important to remember that change is not always an admission of defeat. Think of it as game planning. You come into a game with a plan, but you might have to modify and make adjustments throughout in order to find victory. Don’t hold your ministry hostage by refusing to make the changes that are necessary for victory. 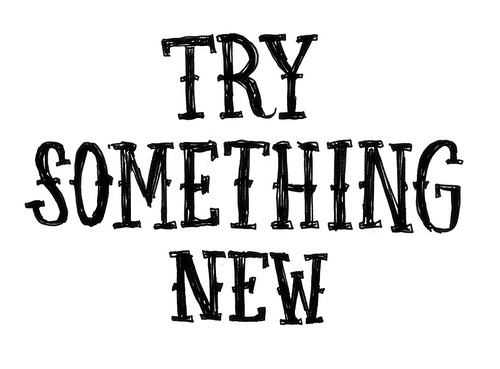 It’s important to try new things. You can do so through creation, which is harder, or by innovation. While nearly nothing is truly created (other than by God), there are a few who have pioneered change in our world. Many famous inventors like Edison and Einstein revolutionized the world through creating a new mindset or invention that changed the way we live. In ministry, creation is difficult, but if you search through churches that are making an impact, there’s a good chance that you’ll find someone who has a good grasp on how to reach people in new and creative ways. I often say I have absolutely no shame in stealing ideas from others, nor should you. The only caveat being that you need to give credit where credit is due. Don’t rip off someone else’s idea and brand it as your own! On the other hand, we should always be growing, and that means learning from others. Look for people who are where you want to be and find out why they have success. In most cases, you won’t be able to create an exact replicate, but you can usually glean some great ideas and find some much needed inspiration along the way. Don’t ever forget that God didn’t put us in this world to fight alone, He blessed us with others who can help disciple us as well! To get more great tips and games, make sure to subscribe to our blog and follow us on Twitter @stumingames. Thursday’s Tip of the Day – To Tell The Truth? Tip of the Day – Be Gumby!